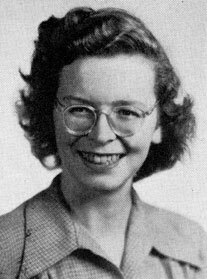 Ann Korinda’s senior portrait from the 1947 “Seal” yearbook. “I’ve had a very good life,” Ann (McCormack) Korinda ’47 said more than once while sharing stories of campus life in the 1940s, her experiences as a special education pioneer, and her extensive travels. The College was a “delightful” place to live and attend classes back in the mid 1940s, she recalls. From the cultural programs held in Kendall Hall, to campus traditions such as the Thanksgiving Priscilla Processions, there was always something going on. On weekends, she and her friends used to walk to local hangouts, and occasionally hitchhiked into Trenton to catch a movie (though she admits, “I never told my mother I hitchhiked”). “But there was one for me,” she continued, suddenly more animated. During her freshman year she met Andrew (Class of 1945), a junior business education major. They started dating that year. Three weeks after she graduated, in February 1947, they were married. By 1950 Andy had left the service, and the couple had settled in Boonton, NJ, where Ann worked first as a substitute teacher, and later giving bedside instruction, while Andy taught in the high school. In 1954, legislation was passed which mandated that school districts had to educate the developmentally disabled. 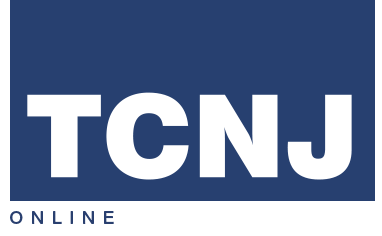 The Boonton superintendent recommended Ann for the job. Despite no formal training, she began teaching children, ages 8 to 15, whose IQs ranged from 25–50. None of her students had ever attended school; she had no classroom aide; and due to the fact that the art and gym teachers wouldn’t work with her students, she didn’t get any breaks during the school day. It was exhausting work. Still, she says, “I loved it!” She worked in special education for 11 years, during which time she earned a master’s degree in the field. Ann later taught 4th grade, for 21 years, a curriculum that included New Jersey history. That gave her and Andy, also a history buff, an excuse to traverse the state’s museums and historical sites. Through the years, their travels extended well beyond the Garden State.